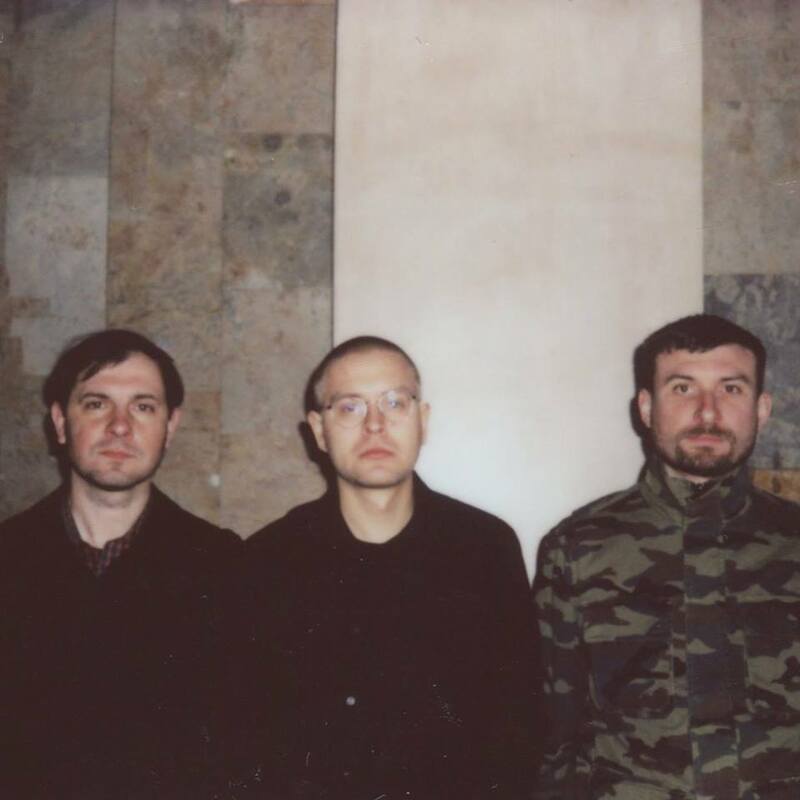 Russian shoegaze scene is an interesting phenomenon, as it grabs the general 80’s - 90’s vibe and adds a new sentiment to it, pursuing a deeper sound. To start off, there’s Blankenberge, with whom we’ve shared stage several times. Their album “Radiogaze” is a perfect mixture of a thick, gloomy guitar sound and hypnotizing vocals. Then there’s Motorama that lies somewhere between post-punk and dream-pop; their wistful tunes create this feeling of nostalgia weaving its way through all of their songs. Honeyhead, a band from Voronezh, has these melancholic guitar passages mixed with contemplative, dreamy melodies. Another two bands, Shimmerance and Neonic Sundrive are also worth to take a listen. — Aline Heiremans & Dmitry Kostryukov, musicians in "Life on Venus"
We extended slightly the criteria to include a bit more on the Indie side and another on the Post Rock. We hope you will enjoy discovering or revisiting these artists! And of course, be so kind as to support these artists by buying their music, following them and sharing this. Hiki (from 光, 光る - 'light, shining') is an atmospheric shoegaze/dream pop project from Podolsk, Russia. It mixes Mellow ambiance, dreamy guitars, nostalgic shoegazing. Composition and instruments are done by B.M. (only initials are given on social media) as well as the vocals on Blurry Lights, Skyforest, A Light in the Dark and Traceline. Closer, LP, February 2017. This album is a bit 'heavier' than the previous albums - there are almost no acoustic songs and a couple of Blackgaze elements are present. The artwork of the album is an original drawing made specifically for this album by mB0sco. Guests vocalists are Arina Fox (tracks 2, 5, 6 and lyrics for the last song). Saturday calm, LP June 2015. This is the first album which features vocals. Brighter days, LP, March 2015. This album is supposed to take the listener back to bright childhood. 'Reflection' is featured as an OST for Everlasting Summer visual novel (DLC - 'One Pioneer's Story'). I will remember these days, LP, July 2014. 'Just Another Summer Day' is featured as an OST for Everlasting Summer visual novel (DLC - 'One Pioneer's Story'). Hiki, LP, May 26, 2014. First and self-titled release of Hiki, which was planned as post-rock. Instrumental, mostly acoustic. Fits well for summer days and nights! This release is probably the saddest of all. The artwork is also noteworthy for all lover of graphics novels. Motorama is a post-punk band formed in 2005. They have Dream-Pop & Shoegaze hints scattered in their musical work. The group has received popularity not only in Russia but also abroad. Their touring schedule is quite impressive as is their following. The band performs songs in English. Vocals of Vladislav Parshin have often been compared with the voice of Ian Curtis, frontman of British band Joy Division. The group's first LP, Alps featured intonations of New Wave and Indie pop, and the music, in general, is more bright and melancholic than depressive. Their music is released on the French record label Talitres. The group Selbram is based in Moscow. The current composition was formed in 2011. It consists of three members: The styles the group plays range from Indie rock experimental/indie rock to psychedelic rock. Selbram tries to hold to live sound. The band was recording its first and second albums at a studio in Moscow on an authentic tape-recorder of the 70's." The third and last album "Citified" contains pulse and noise of the city life, in which love proves its existence. Conflict and harmony of the regularity and spontaneity, individual experiences merge into a collective experiment. It's all filled with the habitation of a person in a modern city is expressed through voice and three instruments." Navyblue is a Dream Pop duo from Moscow. They started in 2017 and have done really nice Dream Pop since. It stays very light, bordering the optimistic. There is little on social media on them at this stage. Secrets of the third planet (S3P) are a Shoegaze and Electronica band from Moscow. They have started in the mid-2000s, with their first release in 2007. They combine cleverly several genres: Shoegaze, Ambient, Post-Rock, Electronica, and a little bit of dance music together into odd sounding sonic scapes that range from being danceable and fun to more open and trippy. The song featured below is a great example. And to be honest they did very well at it, with many great songs to pick that blend those genres very efficiently. I also like the fact that they sing in Russian. Noir for Rachel is a project carried by one person. It encompasses genres like shoegaze, darkgaze and post-punk revival. "I do not have a label, I do not need it. I do not give concerts and I do not plan in the near future. I write everything myself, there was another time co-author for a while, he wrote lyrics for the album The E and gave recommendations on the sound. I often write tracks in one breath and then spread them out. I do not make big breaks between releases. I stopped releasing releases with vocals, but if you send me interesting texts in English in PM, you can try. live in Russia, in a small town in the Tyumen region. " For a one-man show, the production is quite impressive both quantitywise (11LP and 6EP in 6 years) and quality wise. Dreaming wizard is a Dreamgaze/shoegaze/indie/ethereal/instrumental project fromSaint Petersburg, Russia. I do music alone, without the vocals, because it is not needed. I like to create pictures of melodies, where everyone will find what he sees, depending on the perception. I am inspired by people, events and this world. I want to leave something that will help others to find answers to their questions or simply indulge in their dreams. The wizard paints dreamy landscapes that fits the project's name admirably. No vocals, just the reverb. Magnitogorsk, Russia. The music formation Honeyfrequency was founded by the former participant of the Faded Flowers project in January 2014. They are a mix of indie and dark wave. We hope you had a nice time discovering or revisiting theses bands. Please contact us if you have any recommandations. The more we have, the more likely a volume 3.